The Prince of Wales and Duchess of Cornwall hosted the Prince's 70th Birthday Patronage Celebration yesterday, a Buckingham Palace garden party for 6,500 people from 386 of his patronages and reps from 18 military affiliations. 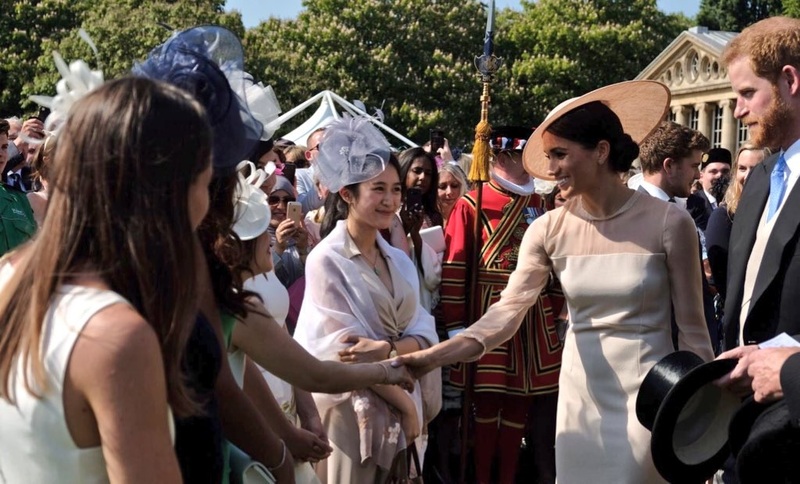 They were joined by the Duke and Duchess of Sussex on their first engagement as a married couple. 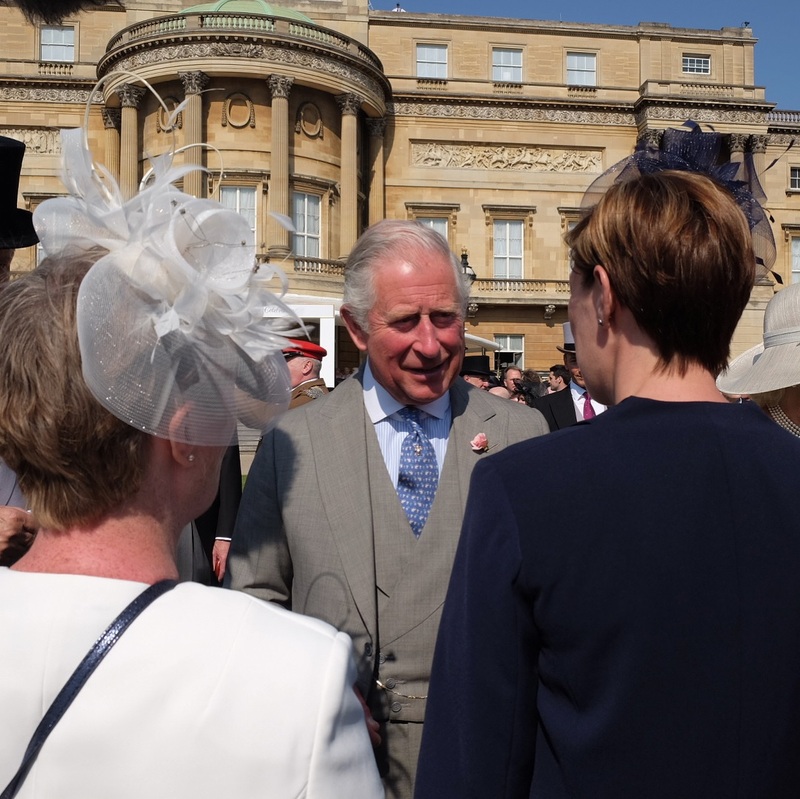 Anyway, let's talk about that Philip Treacy hat and its perfectly matched updo. A brim! Huzzah. Sort of a beginner's entry into the serious world of hat shenanigans. Can you even really consider yourself a member of the British royal family before a hat has hula hooped its way around your head? I think not. She's officially in the fam now. 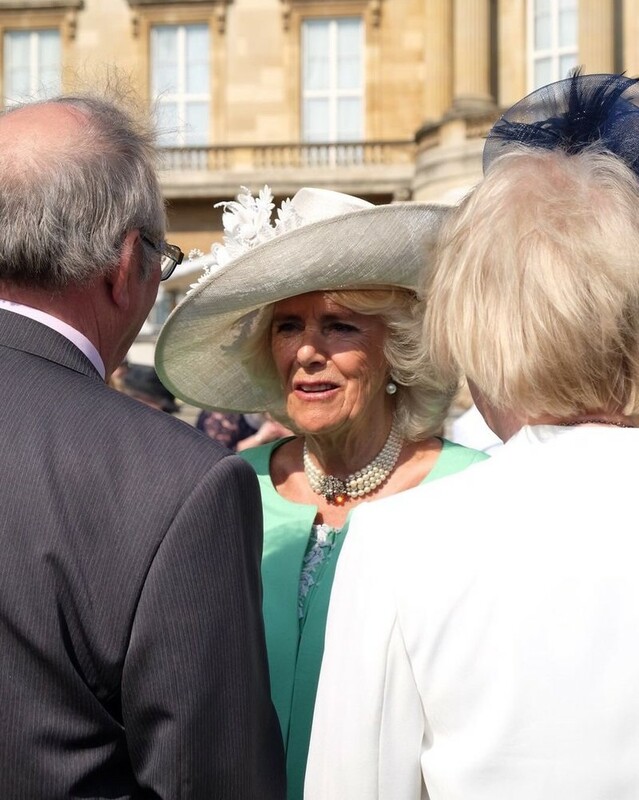 Camilla's an experienced hat hula hooper, and she has the impressive collection of Philip Treacy designs to prove it. She's also wearing her Four Strand Pearl Choker with Large Diamond Clasp and her Everyday Pearl Pendant Earrings. Her Bruce Oldfield coat and dress looks like a rejected wedding option, right? 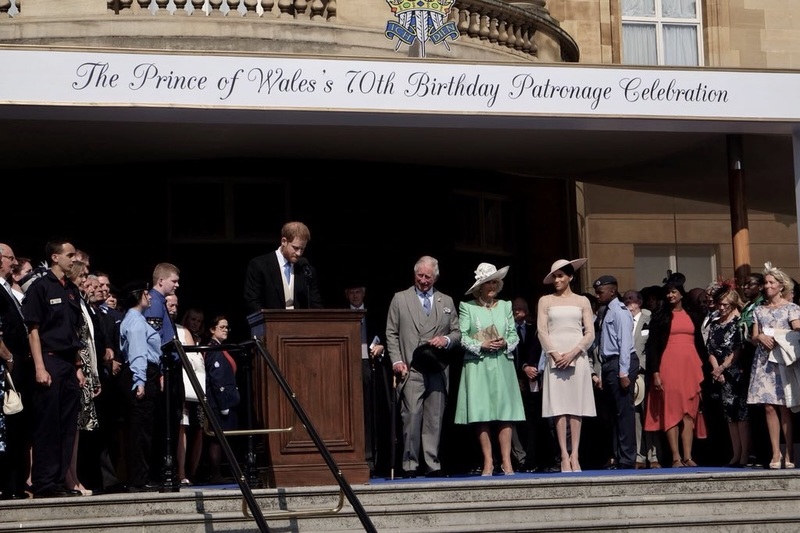 "No, no, gotta leave the brights to the Queen and the white and light green to Doria. NEXT!" This minty coat is trying to trick us into believing there's a blazer involved too. We can't forget the birthday boy, can we? (Even though his birthday's not until November.) He likes his gray morning dress, and it works really well on him. Impeccable as ever.